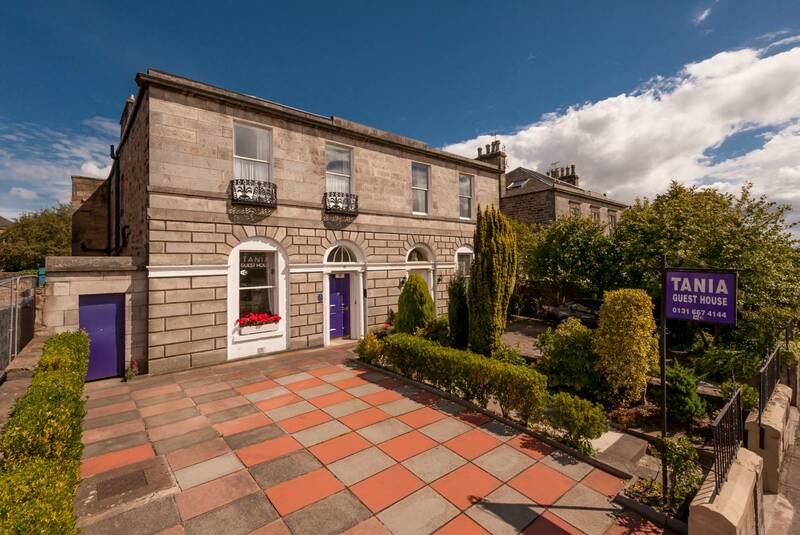 This spacious Georgian semi-detached property with attractive original features lies in the prestigious and sought after area of Newington, to the south of Edinburgh city centre. 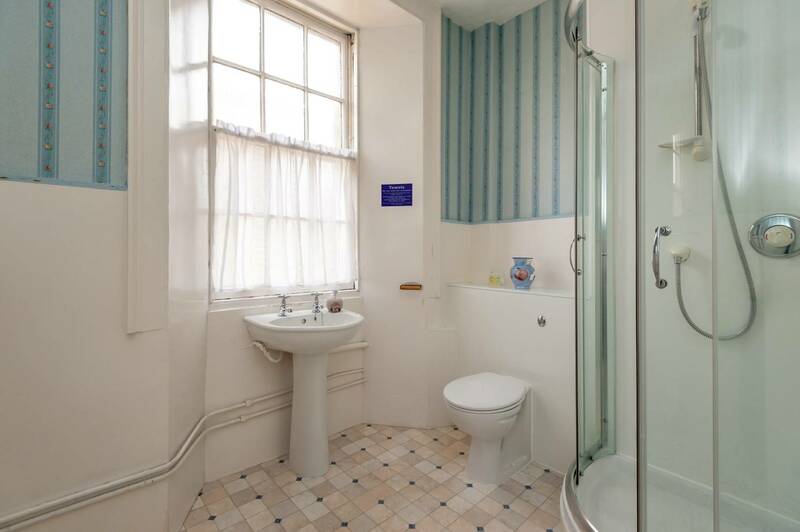 The property is accessed through a large vestibule with a cloakroom, which leads into a spacious entrance hallway featuring a grand and welcoming staircase, flooded with natural light from an impressive cupola. 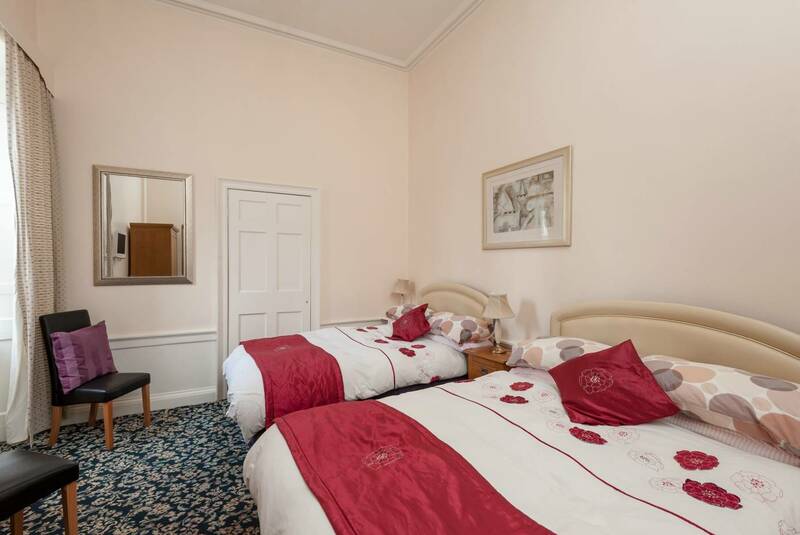 Two basement level cellar stores and a large walk-in cupboard are accessible from the hallway offering fantastic storage space. 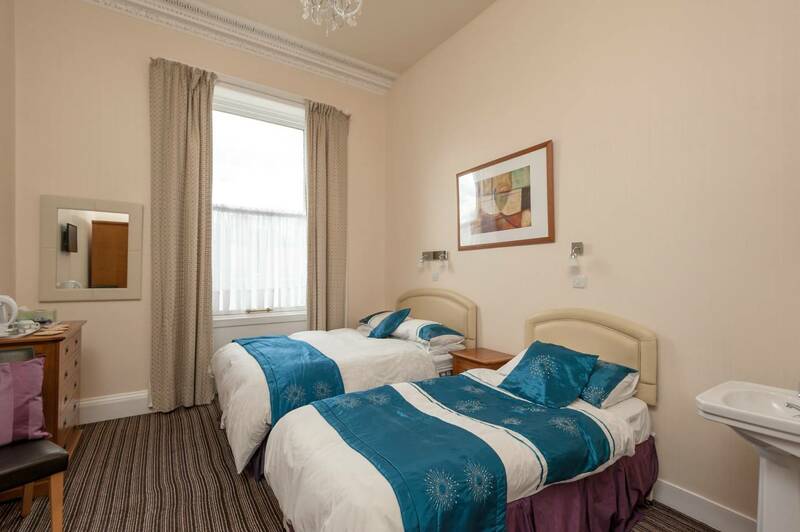 The ground floor has two well-sized bedrooms with space to include free-standing furniture. 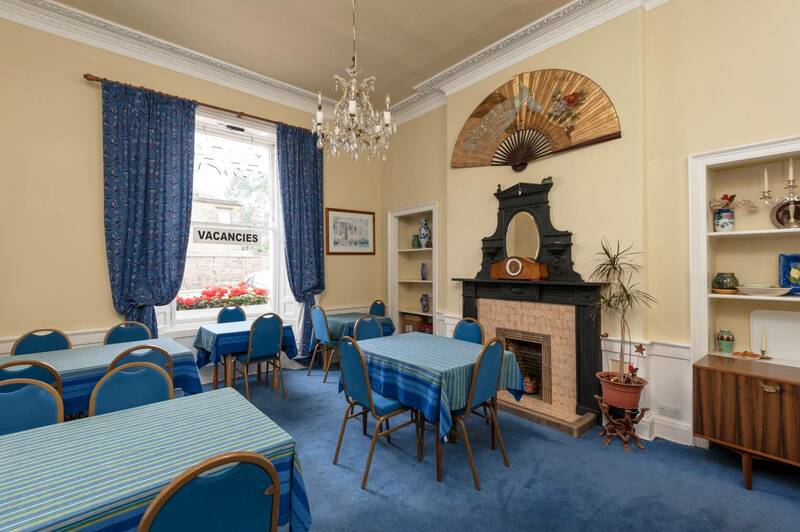 The generous sized dining room has a large window that bathes the room with bright, natural light and is decorated with intricate cornicing and features an original fireplace as the focal point of this room. 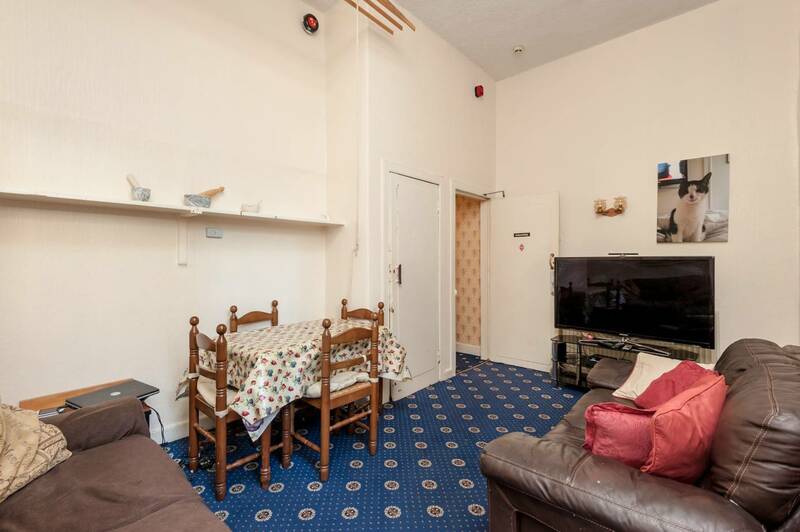 The comfortable sitting room is equipped with a fitted cupboard for convenient storage and provides access to the kitchen. 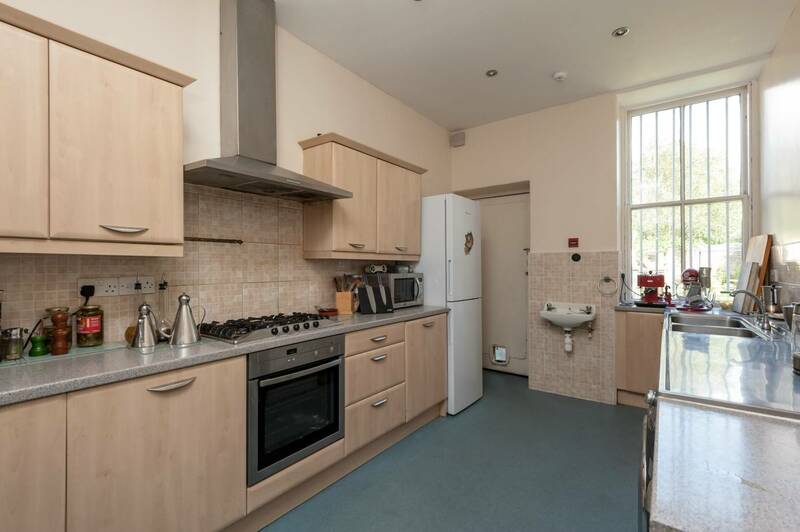 The kitchen has light wood effect work units, a mix of stainless steel and granite effect work surfaces and neutral tiled splashback. 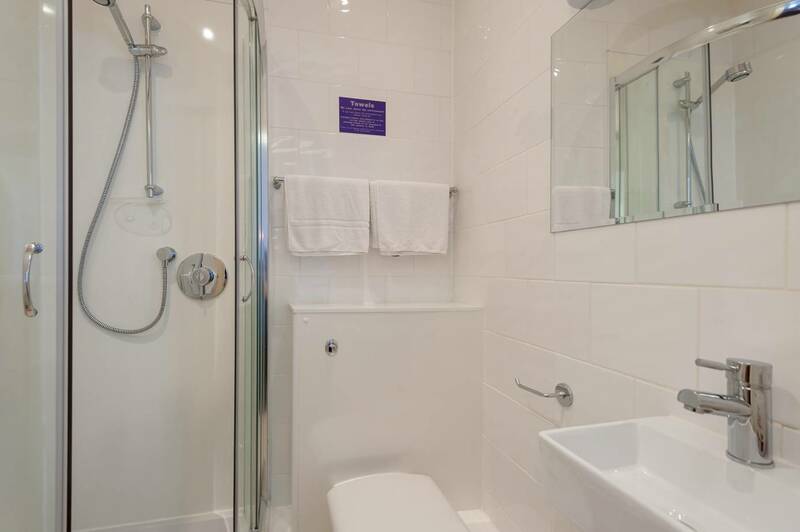 A bathroom is located on this level with a white suite with a separate shower cubicle and decorated with white tiling. 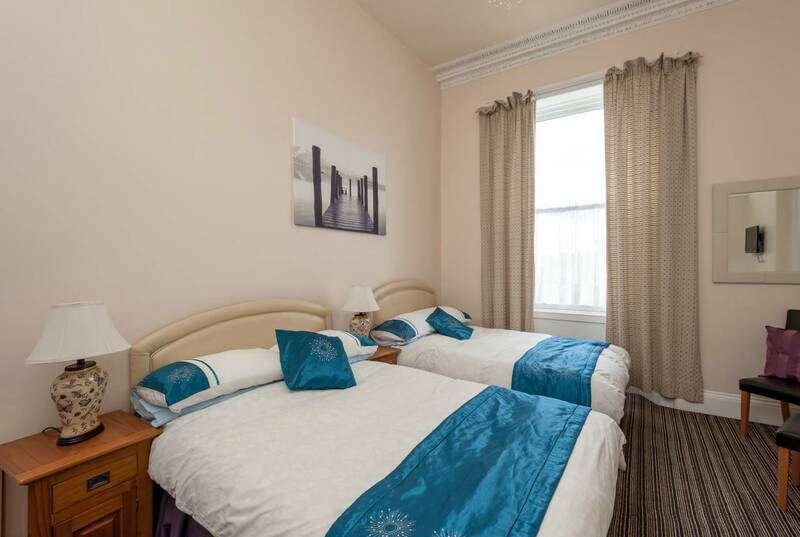 The first floor comprises of six bedrooms of which three have en-suite shower rooms. 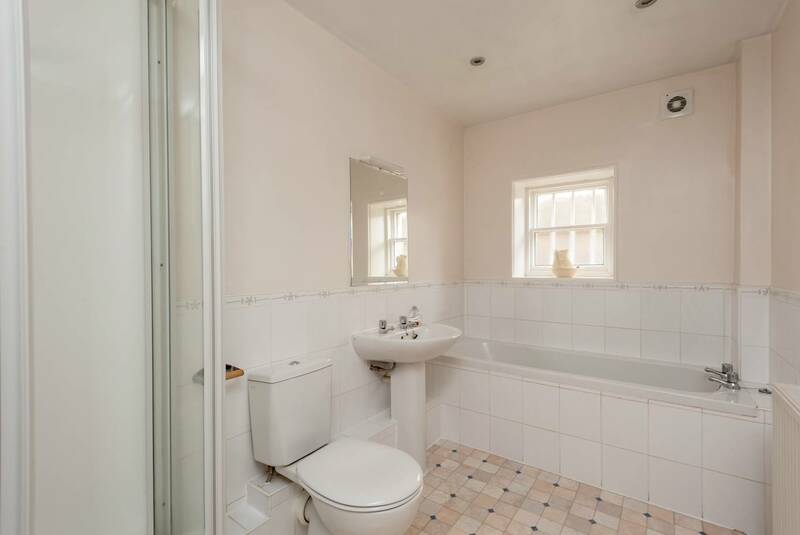 A separate shower room lies off the hallway with a generous sized corner shower. 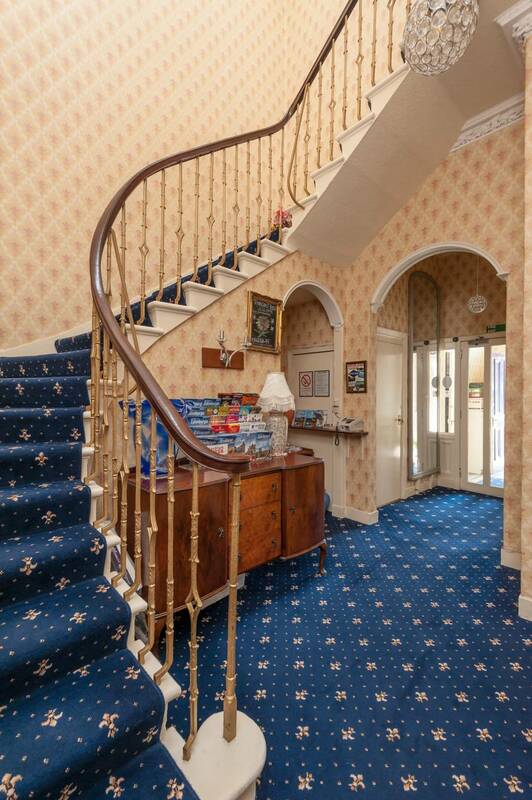 The main staircase is basked with natural light through the striking cupola. 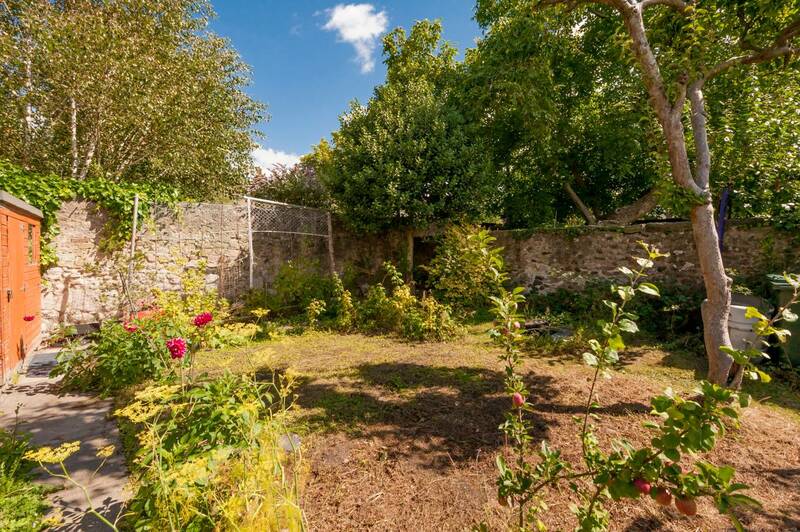 Private garden grounds are located to the front and rear of the property. 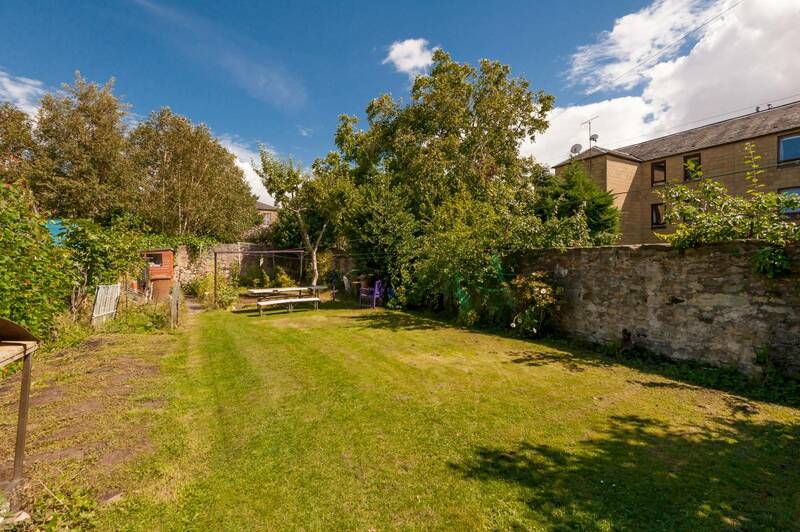 The rear, enclosed garden has a large lawn area offering excellent spots to enjoy in the summer months. To the front, a driveway provides extensive off-street parking. 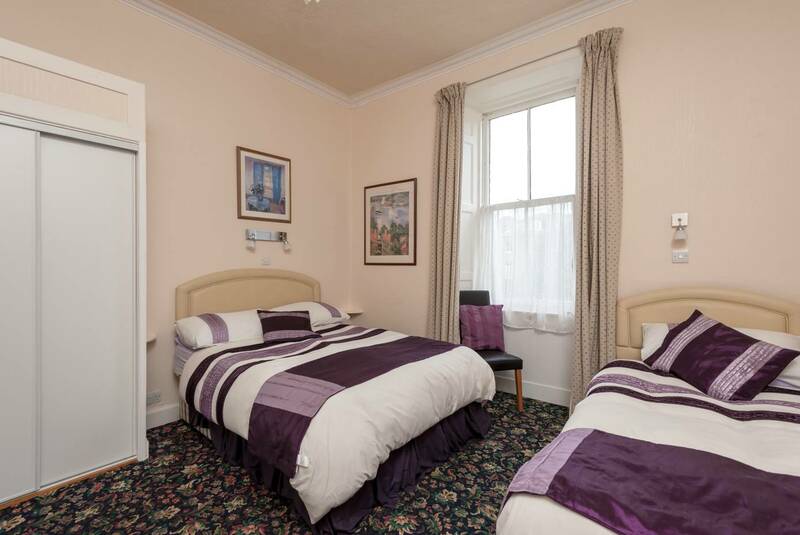 The property is partly double glazed with gas central heating. 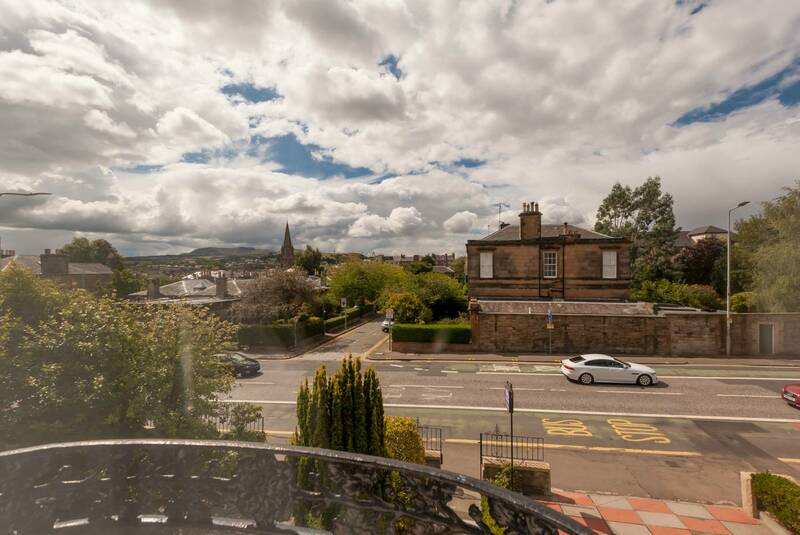 With well-proportioned, flexible living accommodation and wonderful potential; this is an excellent opportunity as a business venture or those who are looking to live in the heart of Edinburgh.